Caffeine is so 2017. Here's some immune boosting caffeine alternatives that'll be sure to lure you from your morning brew. Place all ingredients in a saucepan over medium heat, and stir whisking until all ingredients are combined and warmed through - but not boiling. Pour mix into a heat proof blender and blend until frothy. Sift 1 teaspoon of matcha powder into a large cup. Add 2 teaspoons of hot water to the matcha powder, and whisk until smooth and no lumps remain. Warm milk (or the milk alternative of your choice, such as soy milk or almond milk) in a saucepan just until steaming, then stir in the vanilla and pour the mixture into the cup. If adding a sweetener, mix in 1 teaspoon of honey until dissolved. 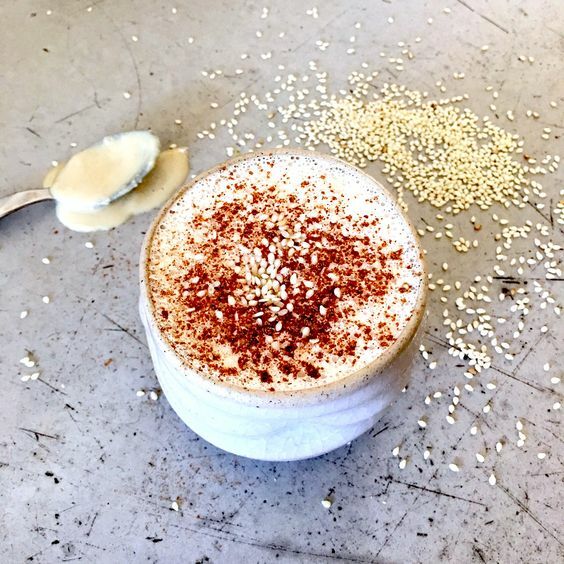 I've been purchasing my beet latte powder from Jomeis Fine Foods they do a big range of vegan paleo sugar free goodies, so be sure to check it out if you are interested. Be sure to let me know how your warming brews go!